Harry Elstrøm (1906-1993) was born in Berlin in 1906 as the son of a German industrial and an English author. He studied art and history of art in Dresden, Rome and Brussels. In 1934 he settled as an independent artist in Brussels. Elstrøm is known above all for his innovative work in religious art. 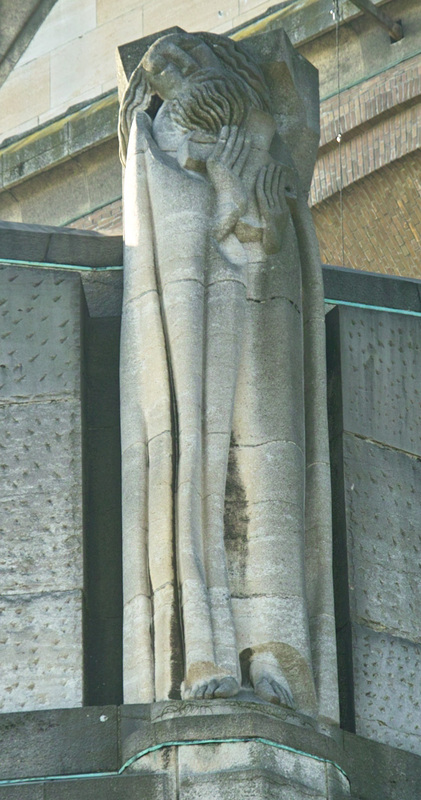 In 1940, he became teacher in sculpture in the Saint-Lucas Institute of Brussels, and in 1952 he started teaching at the faculty of Applied Science at the Catholic University of Leuven. 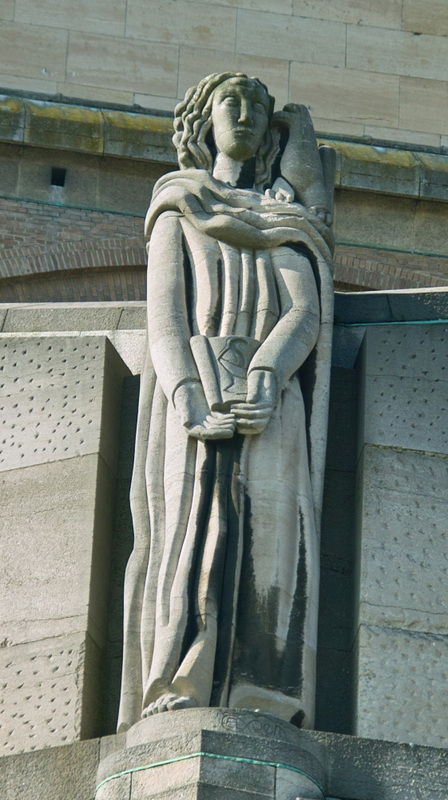 The impressive sculptures Harry Elstrøm made for the basilica are expressionistic. The sculptures fit very well with the concept of the basilica and accentuate its grandeur. The most important work of Elstrøm for the basilica is the majestic calvarie with the four angels above the ciborium of the main choir. 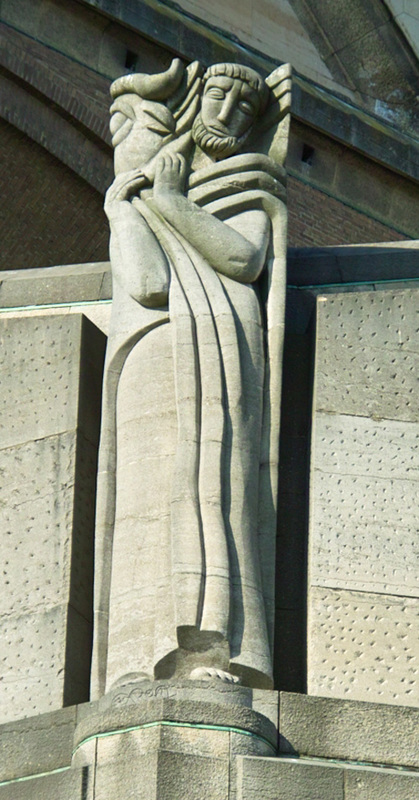 The sculptures of the four evangelists at the outside of the basilica above the narthex are also made by Elstrøm.